In Mothers Work is Never Done, I painted an image depicting a contemporary mother and her child positioned in a classical manner. 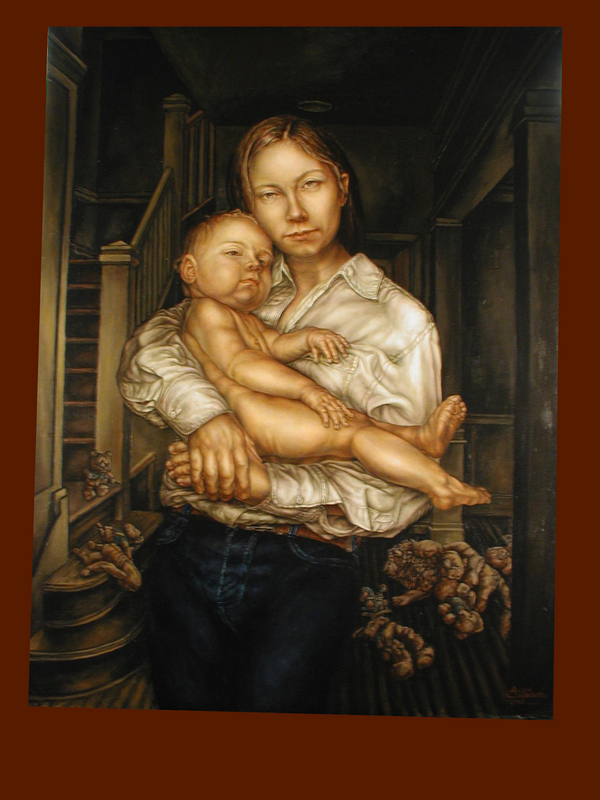 The mother, surrounded by the clutter of the days entertainment, struggles to hold the child in her arms. The mother retains her tender hold as the baby squirms in her arms. She keeps her composure and manages to retain her classical pose.